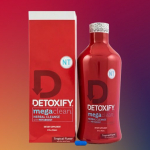 Detox Drinks for Weed: Do they work? 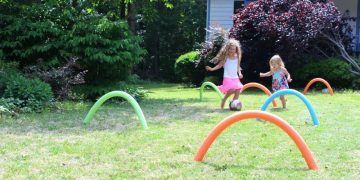 Spring is coming, it’s time to celebrate and welcome longer and warmer days, a new season filled with fun and joy. And with spring comes our favorite holiday of the season, Easter. 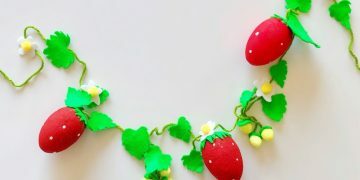 It is a holiday loved both by children and adults, a colorful celebration filled with happiness, bright colors and lots and lots of bunnies and decorated eggs. 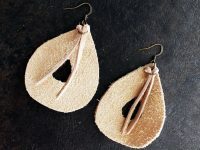 Redecorating or embellishing your home is the best way to get into the spirit of the upcoming holiday. 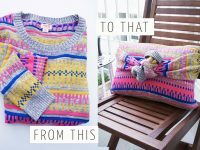 You don’t have to go all out and turn your home into an Easter wonderland, but a few touches here and there can do the trick. 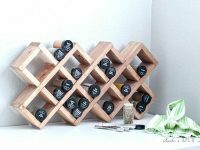 Here are a few easy decoration ideas you can make yourself or with your family, with materials you probably already have at your home. 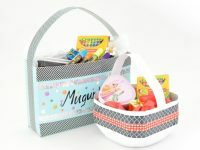 Just the thing you need to give you that little extra pizzazz for your Easter Day celebration and family dinner. 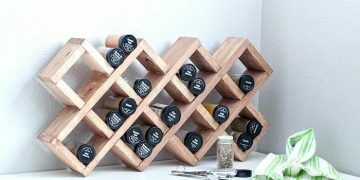 Starting with something easy and fun, here is how you can put those old tin cans to good use. 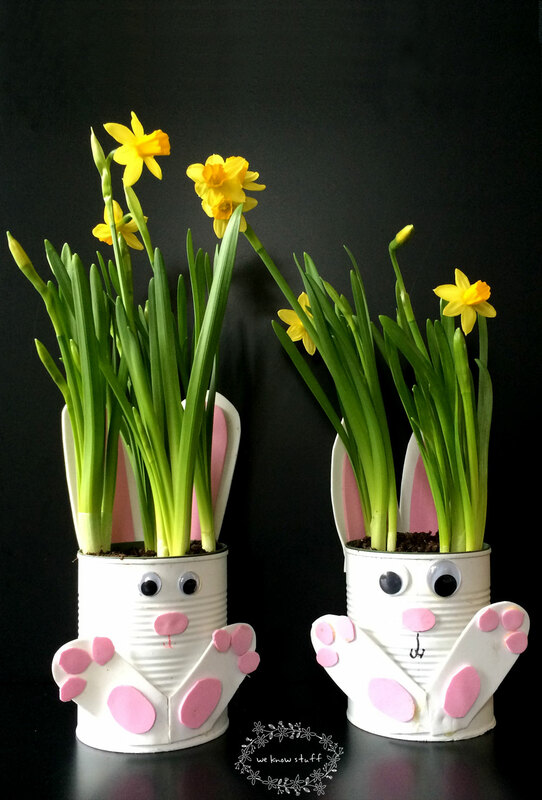 A bit of white color and a couple of bunny ears and you have a darling bunny vase to put on your Easter table. 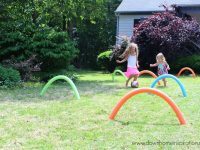 No Easter is complete without some peeps, but aside from the sugar-rush they give to the kids, here is another fun and better way to use them. 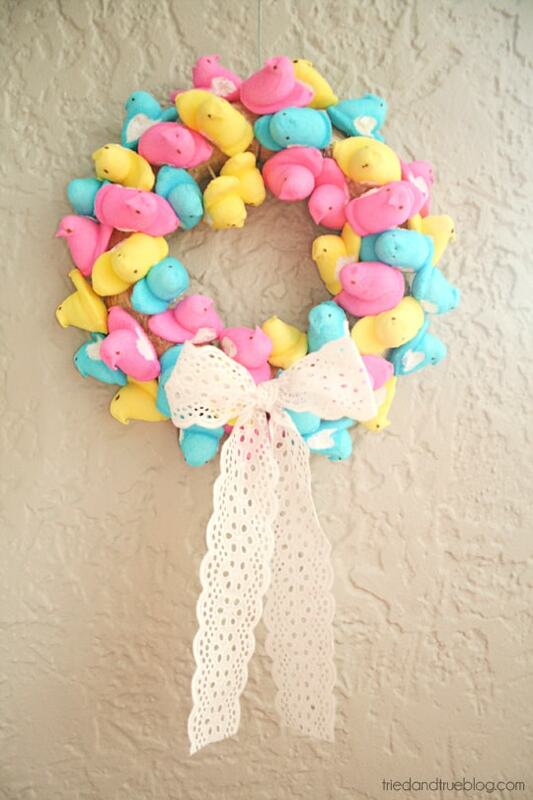 An easy and lovely peeps wreath to hang on your door or wherever you like. Onto the walls. 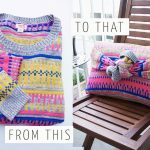 Putting some colors around the house has never been easier. 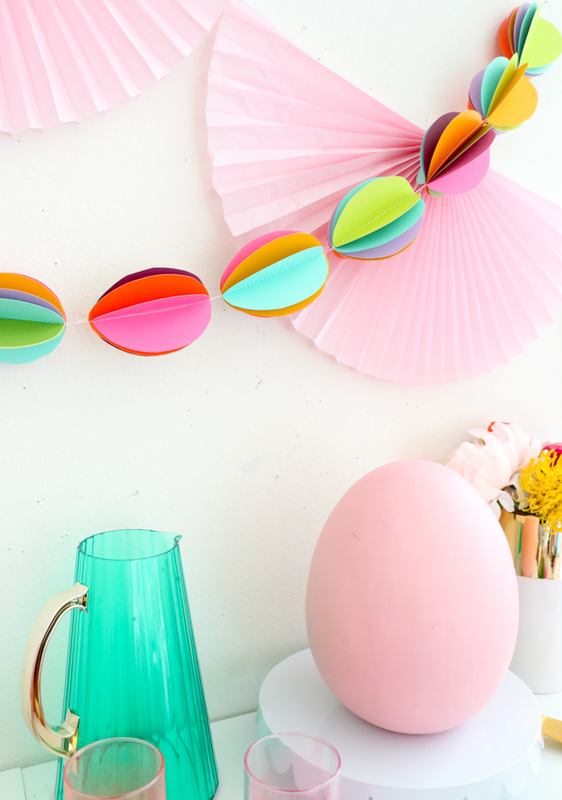 This rainbow-colored paper garland is fun and simple to make and looks just fabulous. And it’s easy to take down as it is to put up, once the festivities are over. Easter decor can be subtle, yet beautiful. 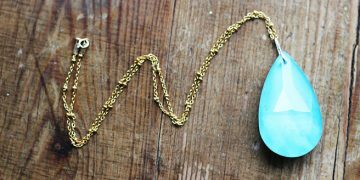 Take for example this rustic eggs-in-a-jar piece. 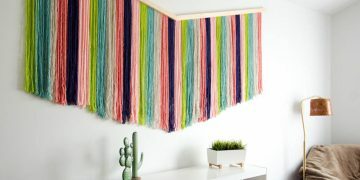 It so straightforward to make with a few materials and it will look charming in your living room. Creating an Easter egg tree is a tradition for many households. 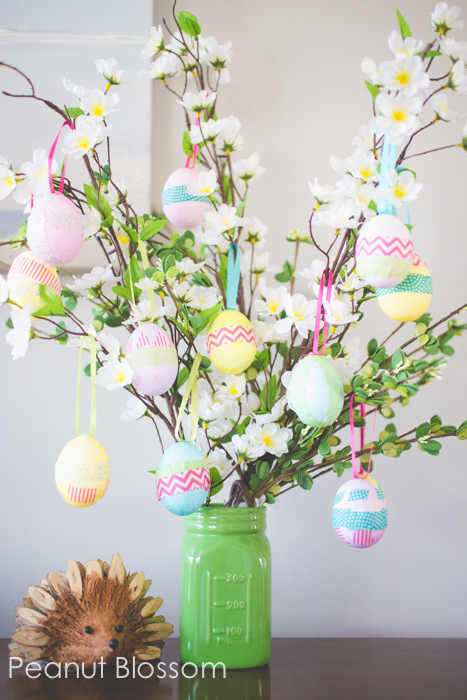 If this year is the first time you’re making one yourself or just want to try something different from what you’ve been normally doing, then you have to check out this Easter tree with budding branches and hanging decorated eggs. 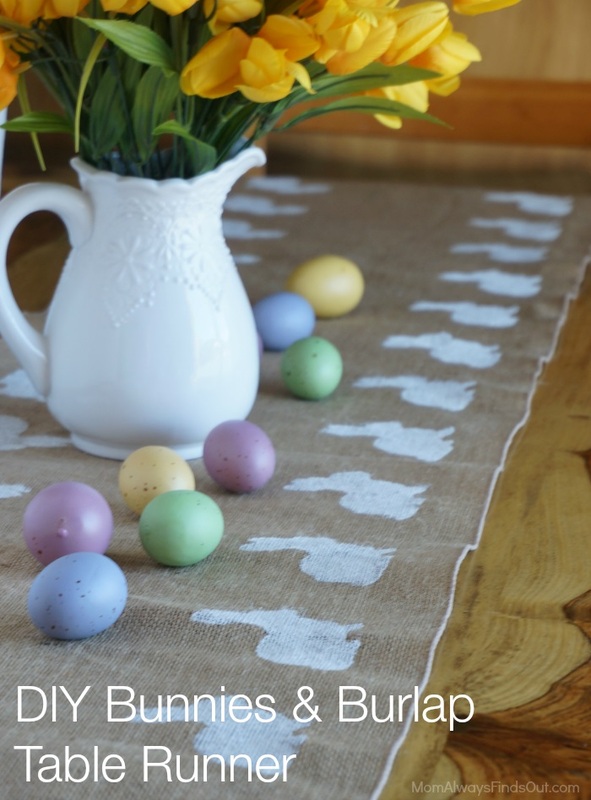 Burlap runners are easy to modify, and for this Easter make some bunnies run up your runner. 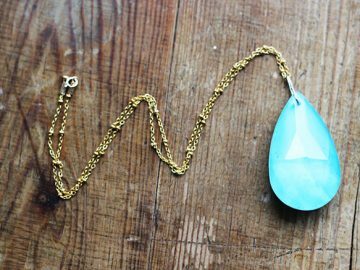 It will be a nice little touch to have for the Easter gathering. If this year you’re the host for the Easter lunch/dinner and you expect a lot of family and friends to come over, it would be wise to plan out their sitting arrangement. 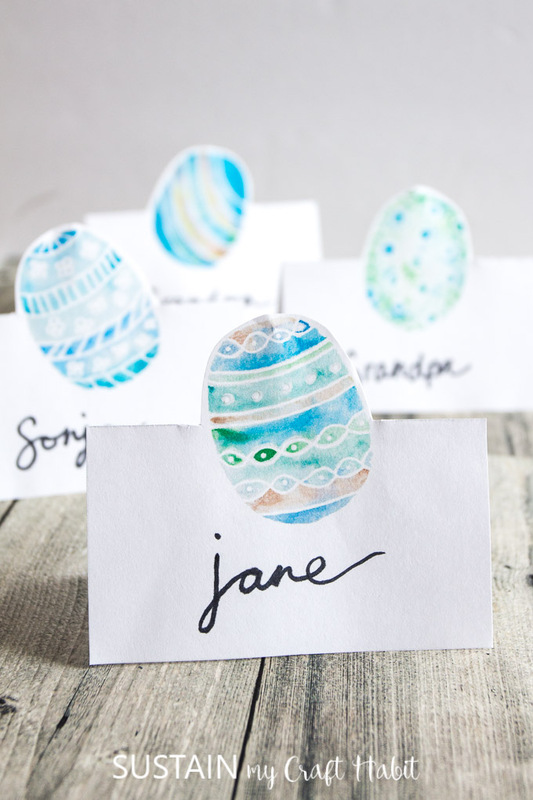 Place cards will help them know where to sit, and to save you some time, here are some printables you can just fill out and set when the time comes. Here is a fun idea for setting the kids’ table. 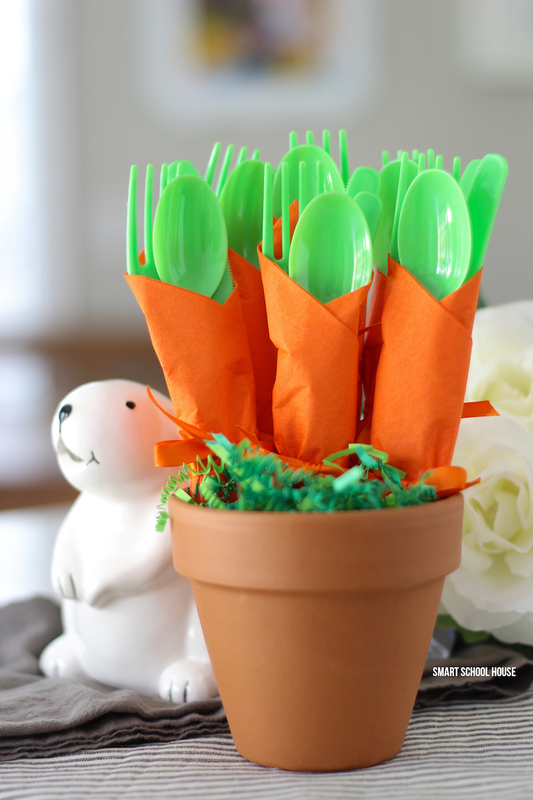 Get some green plastic utensils and wrap them up in a carrot orange napkin, tied with some green or orange ribbon. 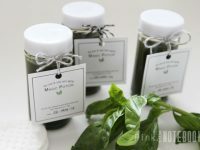 The kids will love it, and the grown-ups, too. 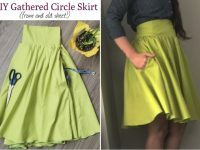 While we’re giving you ideas to set the Easter dinner table, why not go a step further and “wow” your guests with your napkin folding skills. 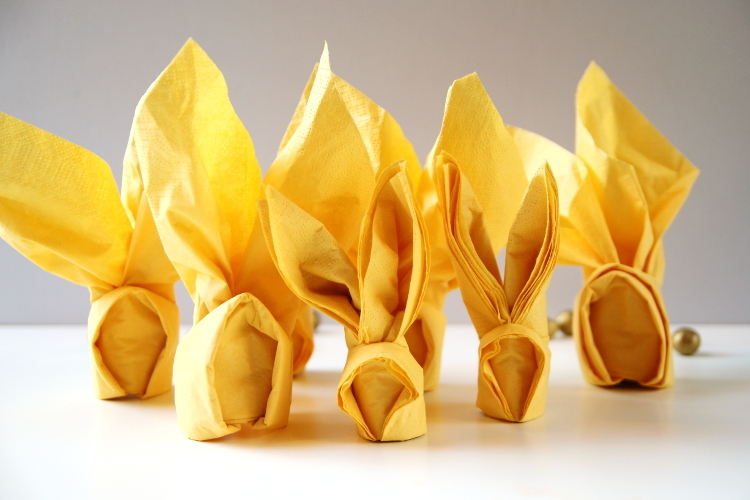 Just follow the tutorial from the link and you will be making bunny napkins in no time. 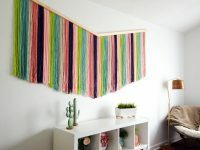 Do you have an old frame lying around? 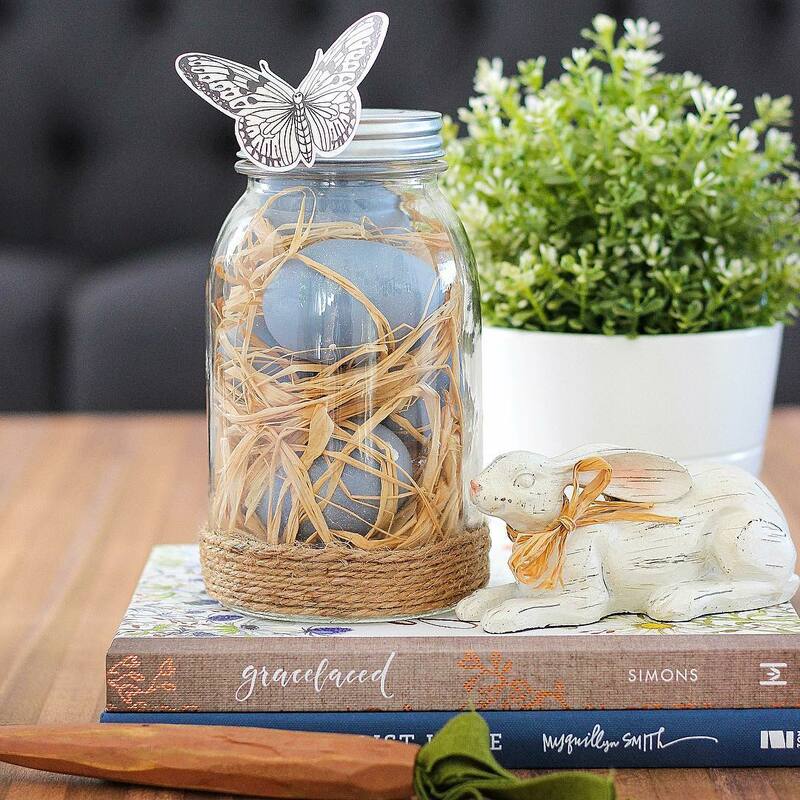 Turn it into the homiest Easter decor this season. 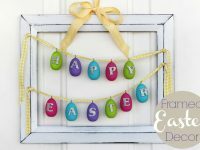 With a few pieces of ribbon and some lettered easter eggs, you can recreate this darling little framed Easter artwork for your home. 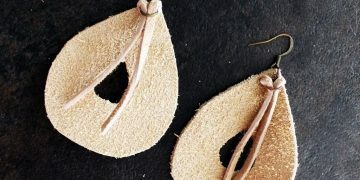 While Easter decorations are all fun and good, you don’t want to spend too much time on them just to remove them in a day or so. 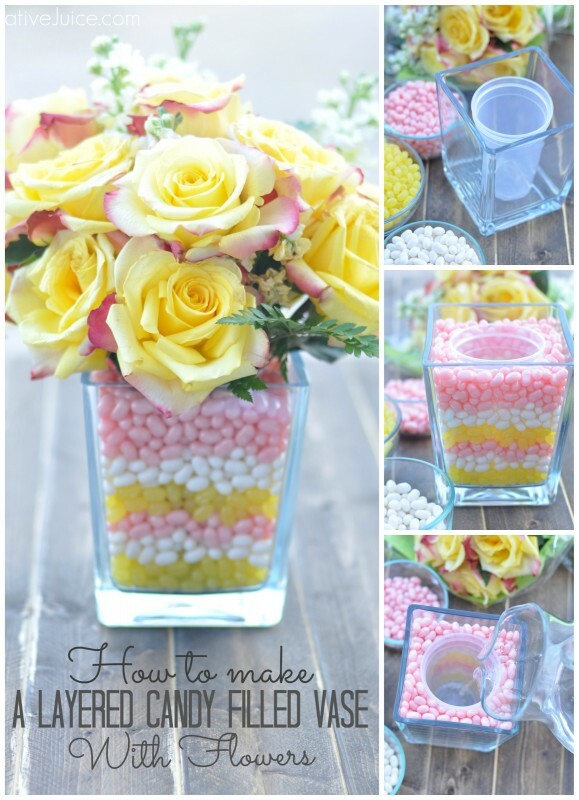 That;’s why we’re ending our list with a decor piece you can keep all spring long: this colorful candy layered glass vase filled with your favorite spring flowers. 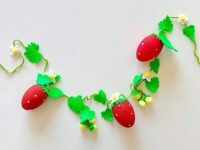 Hope you like our list and you’ll be trying out some, if not all, of these interesting Easter decorations for the holiday. 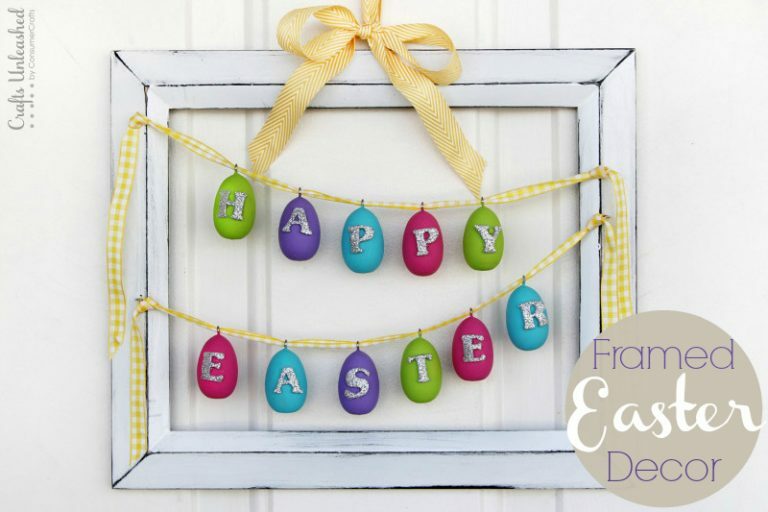 Wishing you happy Easter and hope to hear your thoughts in the comments.